Take your Friend or Loved One home. It is really that simple and the entire process usually takes about an hour. Each one of Christine’s Bail Agents are prompt, professional, and discreet. 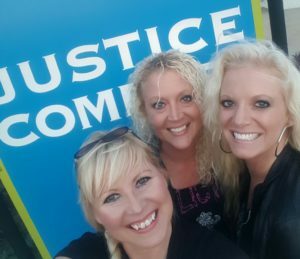 Christine’s Bail Bonds LLC is an all female, family owned bail bond agency. Christine oversees all of the agents statewide personally and often you can find Christine herself at many jails still “running the roads”. She has an unfathomable passion for the bail bond industry. She is dedicated, organized, and sympathizes with each one of her clients. You will not find a nicer bail bond agent who truly cares and will still meet a client at the jail at 3:00 in the morning. Calhoun County Bail Bonds is an division of Christine’s Bail Bonds LLC. Please visit our Calhoun County Bail Bonds Google+ page for more information about how bail bonds works in Calhoun County.